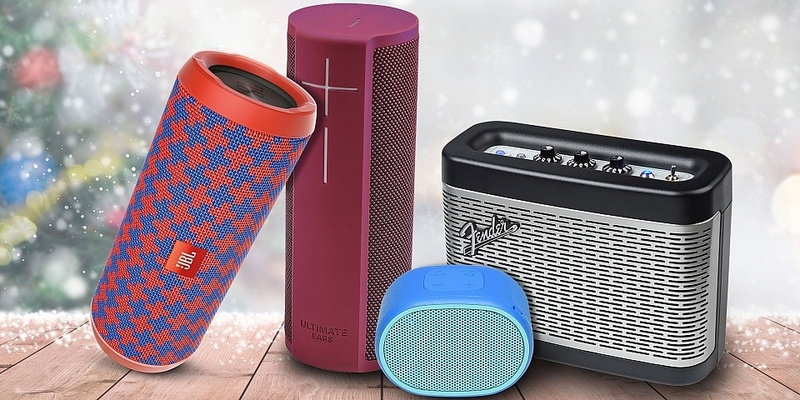 Portable speakers can be a great gift this holiday season, with a wide range of options and colourful designs. But with so many to choose from and many cheap options, how do you sort the jewels from the duds? Our expert reviews can help you out. Portable Bluetooth speakers can be a real minefield for sound quality, with many failing to deliver. Their small sizes are particularly prone to having a lack of bass, which can make the overall sound lack warmth and sound thin. Others can get nowhere near their battery life claims when used in real life, or be so fiddly to use they’ll end up languishing in a cupboard. We’ve tested more than 180 wireless and Bluetooth speakers currently on the market, including countless portable options, so you know you’re getting the very best. We’ve reviewed models from big-name brands including JBL, Sony, Ultimate Ears, LG, Samsung, Jam, Philips, Denon, Anker, Kitsound, Skullcandy, Goji, JVC, B&O, Vifa, Libratone, Marshall, Fender and many more. Scroll below to discover which portable speakers could make for the perfect gift, and what you should watch out for. 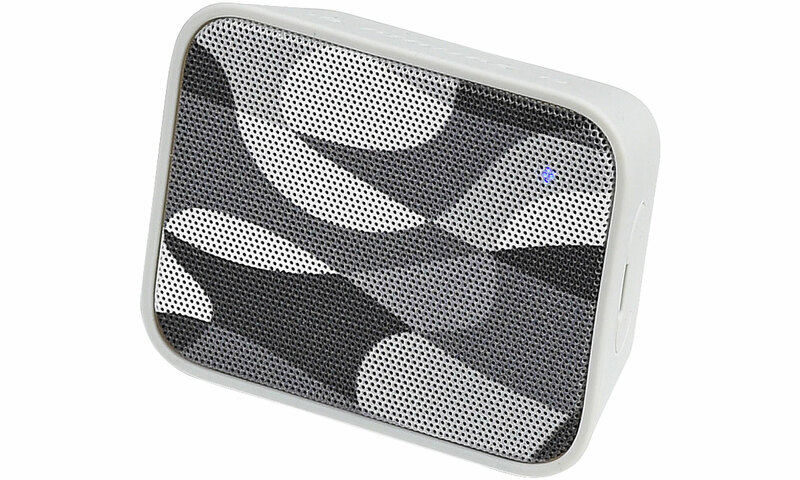 Top six portable Bluetooth speakers – skip right to our best recommendations. 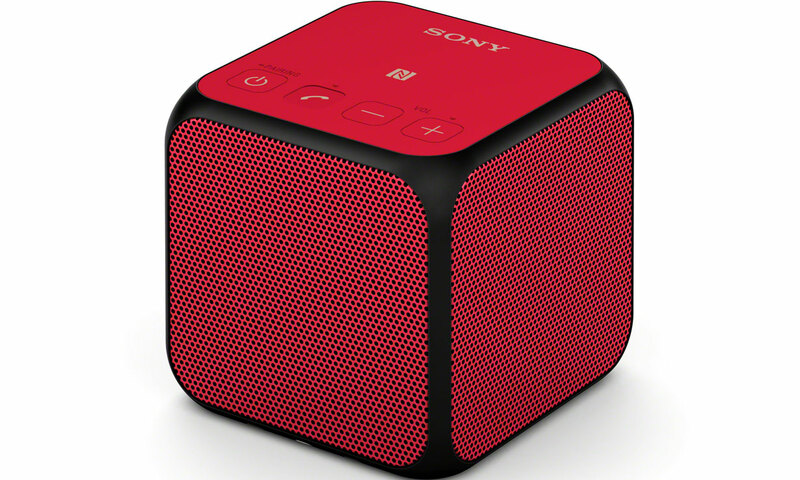 Many like the convenience of a compact portable speaker and the Sony SRS-XB01 takes this to a whole new level, at a great price too. It’s a little larger than the palm of your hand, and looks ideal for taking round with you wherever you go. It’s splash proof too and comes with an optional corded carry handle you can use to attach it to your bag. But can a speaker of this size and price really produce full-bodied sound that’s a pleasure to listen to? Find out in our expert Sony SRS-XB01 review. This small Bluetooth speaker is a little thicker than the Sony SRS-XB01, but does this mean it has more room to fit in bigger speaker drivers giving sound more depth and drive? It too is splash-proof and claims an eight-hour battery life. It couldn’t be easier to use – simply connect it to your phone the first time you use it, and it will automatically connect thereafter. Then you simply control the volume on your phone. This speaker looks like it could be the ideal Christmas present – find out whether it has the sound quality to be worth a purchase in our Philips BT110 review. 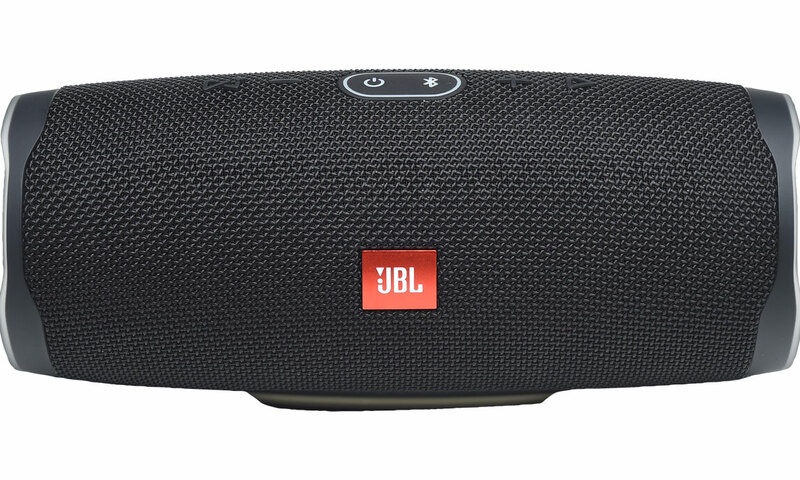 If you’re looking for something a little bigger and more rugged, the JBL Flip 3 could be for you. It’s a can-sized Bluetooth speaker with a built-in speakerphone for phone calls, and looks ideal for taking to a campsite or music festival. It has a higher maximum volume and the potential for more bass than smaller rivals. The release of its successor, the JBL Flip 4, means you can now get the JBL Flip 3 for an impressively low price. But is it great to use, and does the sound impress? We put it through its paces in our definitive JBL Flip 3 review. This speaker seems ideal for both use in the home and on your travels. It has both Bluetooth and wi-fi, the latter also allowing you to control the speaker hands-free with Alexa voice control. It’s IP67 water- and dust-proof, so it’s as rugged as they come as well. It has an accompanying app for your smartphone that gives you access to additional features over simpler models, including a built-in equaliser to adjust the sound to your personal tastes. And it has a bigger cousin as well – the Ultimate Ears Megablast. Are you looking for a higher-end portable speaker? See whether this delivers the sound quality you deserve in our comprehensive Ultimate Ears Blast review. 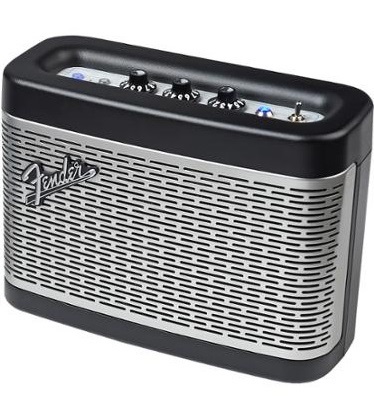 If you’re looking for a stylish speaker, look no further than the retro Fender Newport. Taking its amp-making heritage to this high-end portable Bluetooth speaker, the Newport has a wide range of features, including 3.5mm line input, rotary knobs to adjust the sound to your preferences and it can even handily charge your mobile phone. But is it style over substance, or the brilliant gift you’ve been looking for? Find out in our extensive Fender Newport review. Everyone’s looking for a bit of fun this Christmas, and the Sony SRS-XB31 could certainly liven the mood. It features optional ‘party lights’ that dance to your music and you can even beat it like a drum to produce a range of percussion sounds. 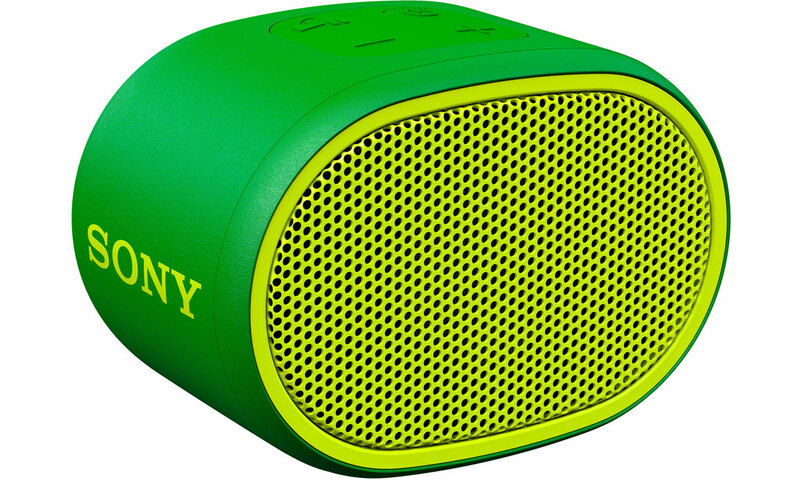 But this is no gimmicky speaker only, with serious speaker drivers beneath its fully waterproof and washable fabric. However, it’s part of Sony’s Extra Bass range of speakers, so is the sound well balanced and great to listen to regardless of genre? 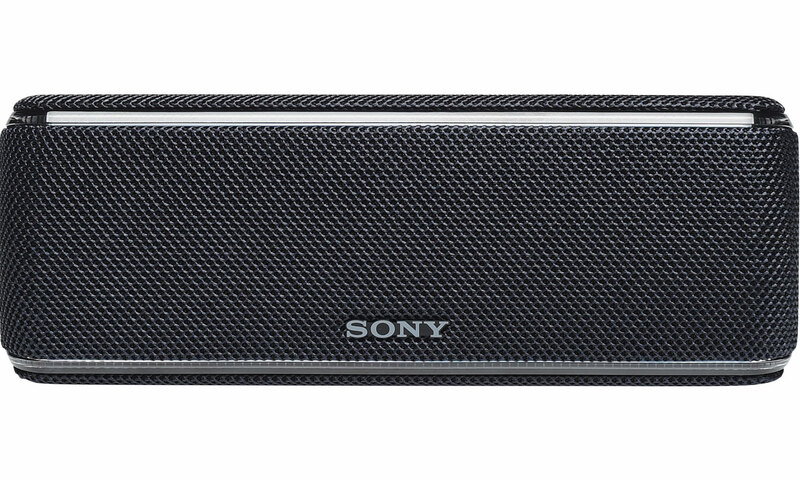 Our expert listening panel give their verdict in our Sony SRS-XB31 review. The JBL Charge 4 seems like a great choice for those looking for a high-powered portable Bluetooth speaker. 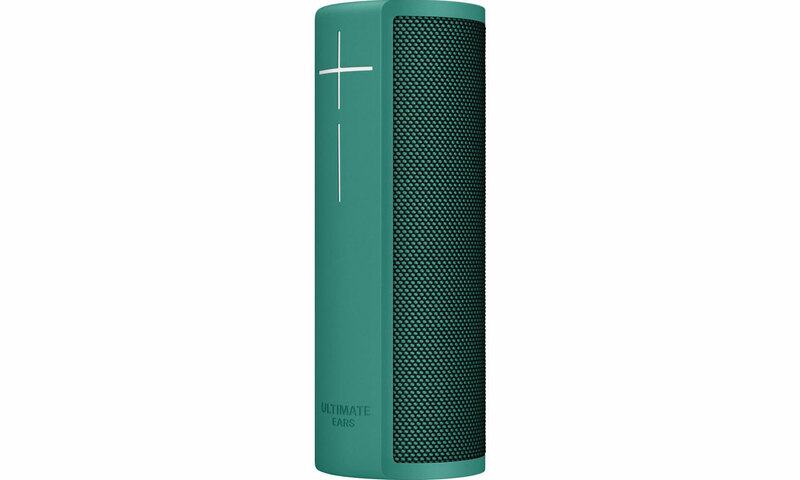 It has a sturdy, waterproof build and a high maximum volume, plus JBL claims the battery lasts for an impressive 20 hours – we see whether it delivers in reality. You can usefully use it to charge your smartphone or tablet, and even connect other JBL Connect+ speakers to it for an even bigger sound, or form a stereo pair. 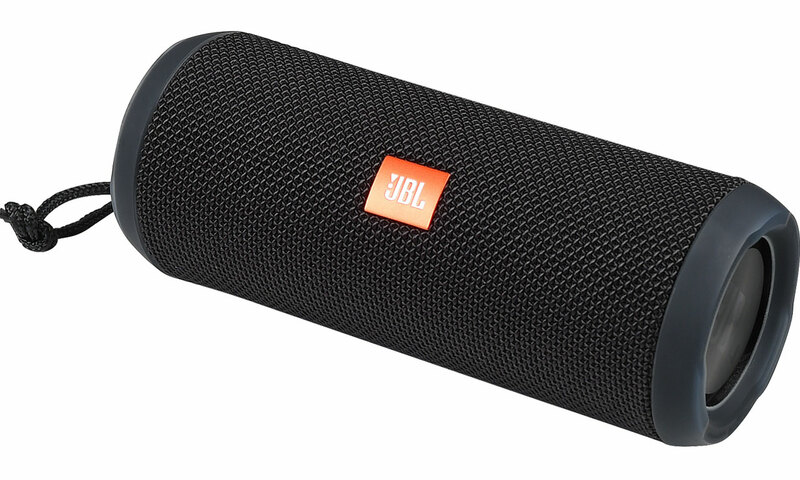 See whether this is the portable speaker you’ve been looking for in our JBL Charge 4 review. The JBL Charge 3 is still around as well and available at a discount – compare the two to find out which is better. There aren’t many portable speakers that look like the SRS-X11 Bluetooth speaker. A similar shape and size to a Rubik’s cube and with a handy strap for easy carrying, it looks like a great Christmas gift. It’s also NFC compatible, so connecting it to NFC devices such as many smartphones couldn’t be easier – just tap to two together to get going. There’s also a handy 3.5mm socket for wired connections, such as connecting an MP3 player. Just going off sale, this screams gift potential. See whether the sound makes it worth a look in our Sony SRS-X11 review.